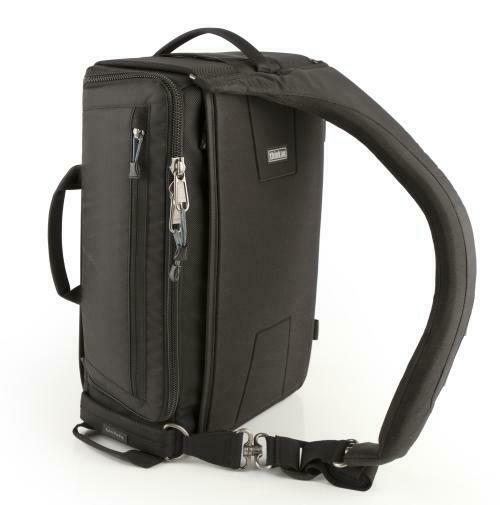 SANTA ROSA, CALIF – Think Tank Photo today announced that in October it will release the Sling-O-Matic, the photo industry’s first sling bag that can be easily switched back and forth to either shoulder. The Sling-O-Matic’s adjustable, fully padded shoulder strap “automatically” slides along a set of rails to change which shoulder the bag can be worn on. This innovation is the solution to the problem inherent with sling bags: they are designed to be to worn over one shoulder only. With one smooth motion, the Sling-O-Matic can be quickly switched to the opposite shoulder without losing the characteristics that have made sling bags popular among photographers. The Sling-O-Matic series offers three unique bags to choose from, depending on the photo gear a photographer needs to carry. The Sling-O-Matic 10 can carry a pro-size DSLR and three to four lenses, including a 70-200 f2.8. The Sling-O-Matic 20 and Sling-O-Matic 30 can each carry a pro-size DSLR and four to six lenses, including a 70-200 f2.8. The Sling-O-Matic 30 also features a separate laptop compartment for carrying a 15.4” laptop. • Industry’s first sling bag that can be easily switched back and forth to either shoulder. • Each bag fits a DSLR with up to a 70-200 f2.8 lens with lens hood in position. • All bags are flexible to fit most pro size DSLRs with a lens attached. • Discreetly stylized to avoid obviously appearing like a camera bag. 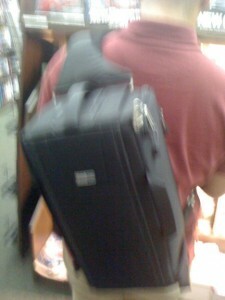 • Long side pocket for carrying a tripod, large water bottle, or other accessories. • Large handles on three sides. • Wide zippered pockets on front, back, and side. • Business card pocket for identification. • Removable/adjustable straps and waist belt for additional stability. • Small storage pocket for storing removable straps. • Fully padded compartments for protection. • Seam-sealed rain cover included. This entry was posted in ThinkTank Photo. Bookmark the permalink. Trackbacks are closed, but you can post a comment.